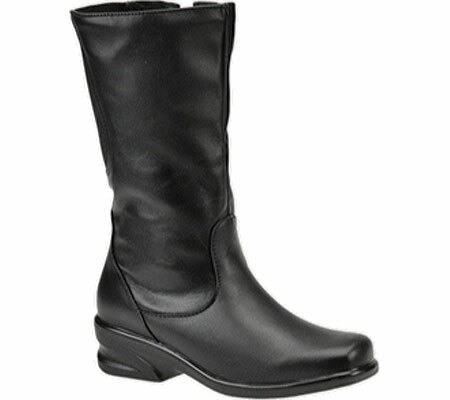 This mid calf beauty offers a Malaga leather upper with easy fitting full calf gore. Radiantex sock lining and Bouclet lining for warmth and comfort. It has a full length side zipper for easy on/off and a waterproof construction that offers foot protection.